AMMONNEWS - With his ginger beard, straw hat and a sad, wounded expression, Willem Dafoe looks uncannily like a Vincent Van Gogh self-portrait, as he plays the artist in a biopic that premiered at the Venice Film Festival on Monday. At Eternity’s Gate begins with the impoverished Van Gogh in Paris in the 1880s where his paintings are, at best, ignored and, at worst, derided as incompetent. It follows him to the south of France, in and out of mental asylums, and ends with his death a couple of years later, at 37, with a bullet in his stomach that, in this film, is not the suicide that historians have speculated was the cause of death. 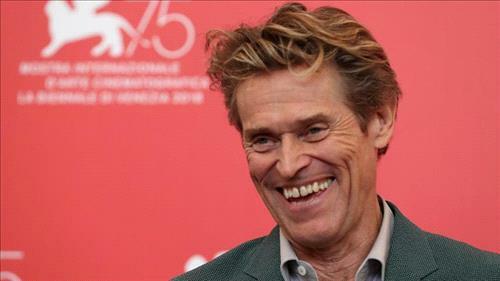 The movie is directed by Julian Schnabel, who made The Diving Bell and the Butterfly and is himself an artist who recreated some of Van Gogh’s work for the film and helped Dafoe learn how to handle a paintbrush. Dafoe portrays Van Gogh as a deeply lonely man who takes solace in nature and his work: “I paint to stop thinking,” he says at one point. Although he suffers blackouts and bouts of anger, his Van Gogh does not come across as mad, but certainly as someone suffering mental torment. Now revered as one of the greatest painters, Van Gogh famously died before his true artistic value had been recognized. “Maybe God gave me a gift to paint for people are aren’t here yet,” he says in the film. At Eternity’s Gate is one of 21 films competing for the Golden Lion that will be awarded on Sept 8.